Wonderful Roscoe Village elevator building in Audubon School District. 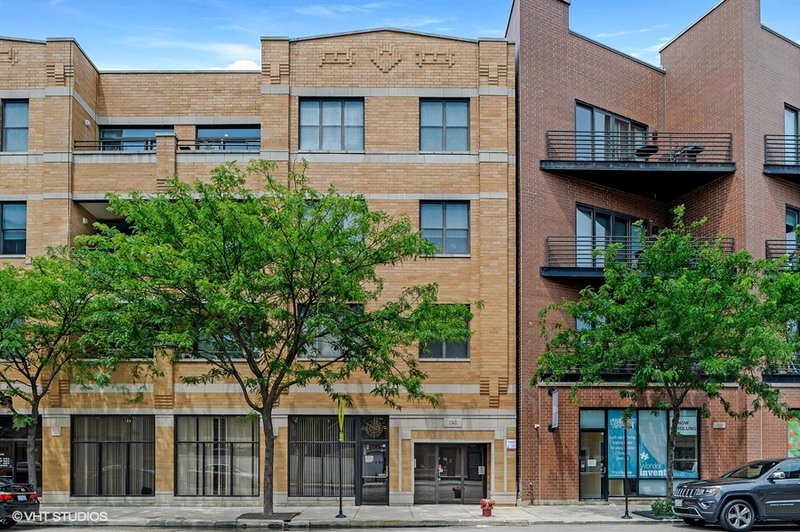 This 1305 square foot, Two (2) bed two (2)bath unit features high ceilings, recessed lighting, sleek hardwood floors, stainless steel appliances, and a private balcony. Granite kitchen. The rooms are spacious, the master bedroom also includes a large walk-in closet. Split bedroom floor plan, each bedroom is on either side of the condo. The unit also comes with 2 tandem, indoor parking spaces. Fellger Park is next door, Hamlin Park with public pool is less than a 1/4 mile. Quaint Roscoe Street is 2 blocks north.